We dedicated three days to our initial exploration of Ohrid. The large lake is renowned for the clarity of its water, positively sparkling when the sun is shining, and the hills of Albania to the west and the Gali&ccaron;ica National Park to the east provide it with a stunning backdrop. Found on the lake’s northern shore, the town of Ohrid has an atmosphere that is at once festive and relaxed, with an unrivaled reputation as Macedonia’s favorite vacation spot. In addition to boutique hotels and boisterous restaurants, Ohrid boasts a rich cultural heritage that includes Byzantine-era churches, pre-Roman ruins, and fascinating museums. And traditional workshops can be found within the town’s old Turkish quarter, which spreads out along the foot of a hill beneath a medieval fortress attributed to Tsar Samoil. This fortress was the object of our first excursion in Ohrid, after arriving on the three-hour bus from Skopje. Tsar Samoil was the ruler of the Bulgarian Empire from 997 to 1014, and made Ohrid his capital. During both his reign, and the Byzantine period which followed it, the city flourished as a center for Slavic learning and Christian religion. 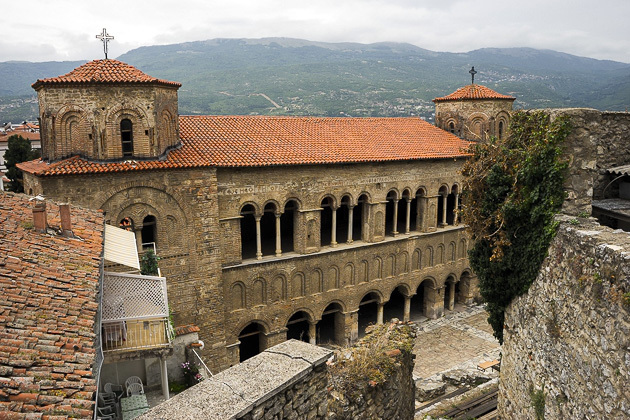 Ohrid was home to one of Europe’s first universities in the Plaošnik Monastery, and was an important center of trading and art. After paying a small entrance fee at the fortress gate, we ventured inside. 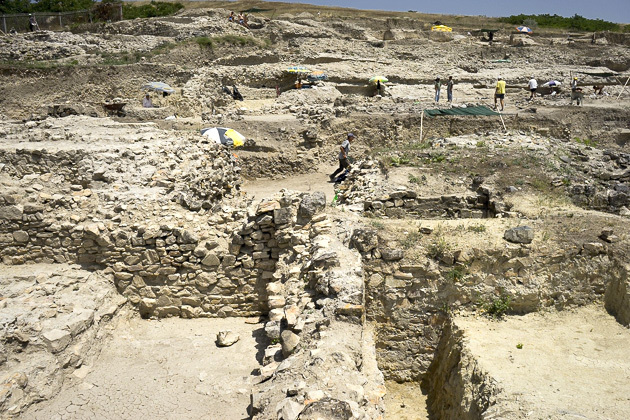 It’s still awaiting full excavation, and there wasn’t much of archaeological interest to see, but we couldn’t have picked a better place to begin our time in Ohrid. From the reconstructed walls and turrets, there’s an excellent view over the lake and the old town. We could see the ancient theater, built around 200 BC, and spotted a couple of Ohrid’s churches, including the Sv Sofia and Sv Pantelejmon. And we looked down with anticipation on the city’s beach, packed with cafes and leisure-seekers, whose ranks we’d be soon joining. Ohrid: The Jewel of Macedonia Shimmering in the southwestern corner of Macedonia is Lake Ohrid: a UNESCO Heritage Site, and one of the oldest lakes in the world. 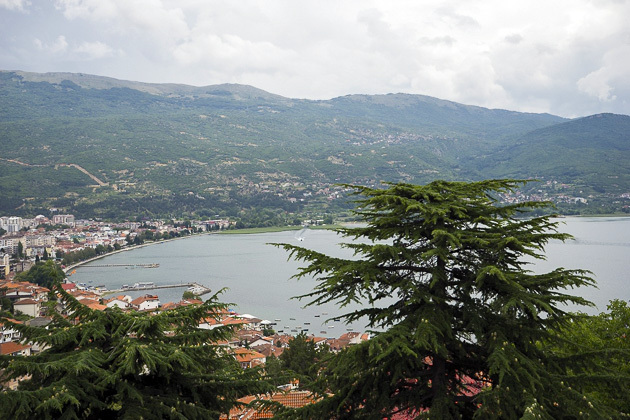 Over the years, Ohrid has developed into Macedonia's favorite summer retreat. Whether to play in the pristine water, dance the night away, or just escape the heat, Macedonians and visitors from across the Balkans descend upon the lake in droves. Between the special alleyways, the massive city walls and the lake itself, Lake Ohrid seems like an amazing place to visit. It’s on my list when I get to the Balkans!